Do you need to move to a new office? Or do you need to relocate to a house that you have just bought? If you need moving services in New Jersey, Optimum Moving is certainly the moving company you can rely on. Whether you are moving in or out of Wildwood Crest,making a small or large scale move in the borough, we have got you covered! The borough of Wildwood Crest is situated in Cape May County. It was incorporated from portions of Lower Township in 1910. Also, the borough borders the Atlantic Ocean, City of Wildwood, and Diamond Beach.What’s more, Wildwood Crest is home to the second-best beach in New Jersey. In Wildwood Crest, an average house can cost you around $440,624 and the houses often feature three bedrooms on average. With a population of 3,226, around 58% of the Wildwood Crest residents are known to live in the same house for an average of five years.The property owners tend to stay in their houses or condos for an average period of 18 years, whereas the renters chose to live here for six years on average. At Optimum Moving, we make sure that you can experience a hassle-free moving process when you hire us. Given our familiarity with the local areas in the Garden State, including Wildwood Crest, the entire process of packing, lifting and moving can be carried out seamlessly. Irrespective of the size of the items, we have optimal moving equipment in place to tackle all sorts of moving challenges. What’s more, we keep our moving fees low so that our customers can execute a relocation procedure without breaking the bank. Try Optimum Moving today and see the difference we can make! 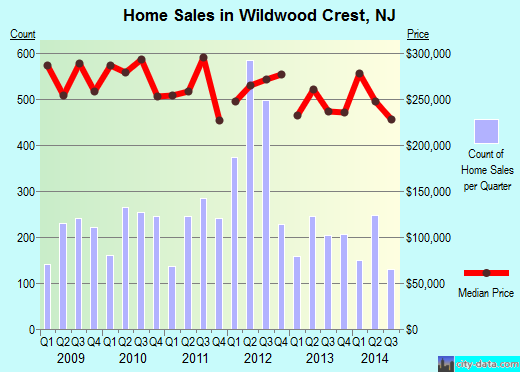 Want to learn more about a Wildwood Crest Move?